By submitting this information, I understand that I am consenting for you to contact me to discuss mortgage loan products and rate options at the email address and the phone number provided including via text, automated or prerecorded means. I understand that my consent is not required as a condition to purchase a good or service. 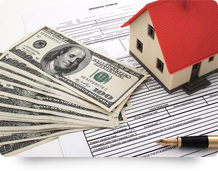 Registered PA/NJ Mortgage Broker - All mortgage loans arranged with third party providers. Buying a home should be an exciting time in your life. With the Premium Mortgage Corp team acting as your Philadelphia mortgage broker, it can be. Premium Mortgage Corp's philosophy of providing the highest quality products and services at the lowest cost to you has allowed them to become one of the mortgage industry's leading Philadelphia mortgage brokers. We strive to offer the customer the lowest rate in the mortgage marketplace, with no hidden fees, as well as the highest level of customer service. Premium Mortgage Corp's staff is made up of the most experienced and qualified loan officers the industry has to offer. Let Premium Mortgage take the stress out of buying a home. We look forward to helping you!We are a Philadelphia based mortgage loan company offering competitive mortgage rates. Our services are also offered to Bucks County as well as Montgomery County. Our well trained team of licensed mortgage brokers can help you find the best mortgage quotes for your mortgage loan and VA loans. We are a Philadelphia based mortgage loan company offering competitive mortgage rates. Our services are also offered to Bucks County as well as Montgomery County. Our well trained team of licensed mortgage brokers can help you find the best mortgage quotes for your mortgage loan and VA loans. Whether you are a first time home buyer who needs a mortgage quote or mortgage loan we are here for all your rate needs. 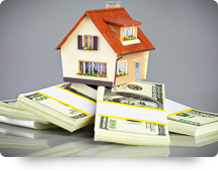 Our services include but are not limited to shortsale, refinancing, foreclosures and FHA VA Loans. Let our licensed mortgage brokers help you through the prequalification process for free! 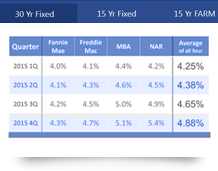 Get your VA Loan, Mortgage Loan or Mortgage Quote rates from your Philadelphia, Bucks County and Montgomery County broker today! Commercial Realty Ventures Inc dba Premium Mortgage Corp.